Creating gorgeous faux stained glass effects with glass paint is easy. If you like to color you will love this hand-painted stained glass love birds craft project. 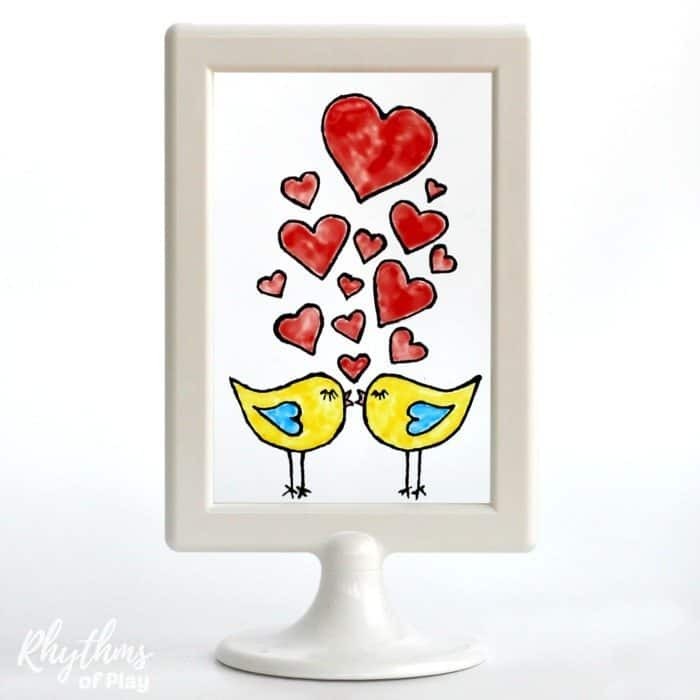 Both kids and adults will enjoy painting their own art windows and suncatchers using simple frames, glass paint, and our free printable lovebird template. 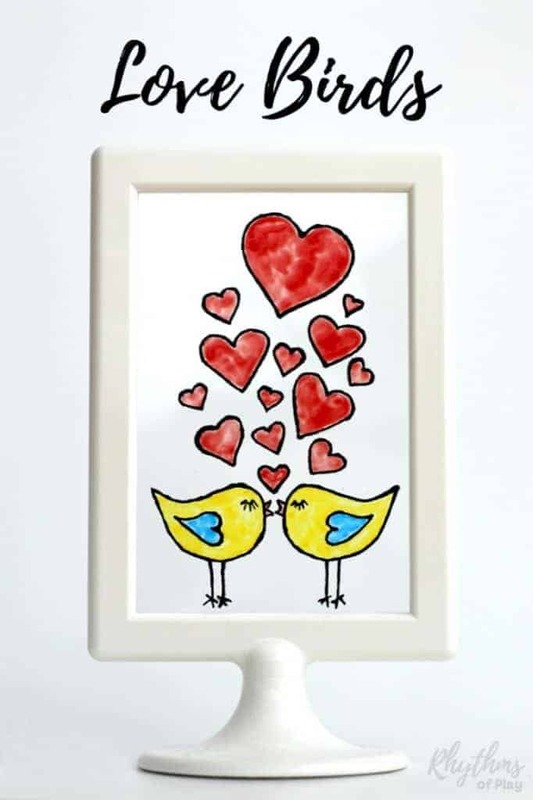 Handmade art like this love bird craft makes a unique gift idea for Valentine’s Day, Christmas, and anniversaries! 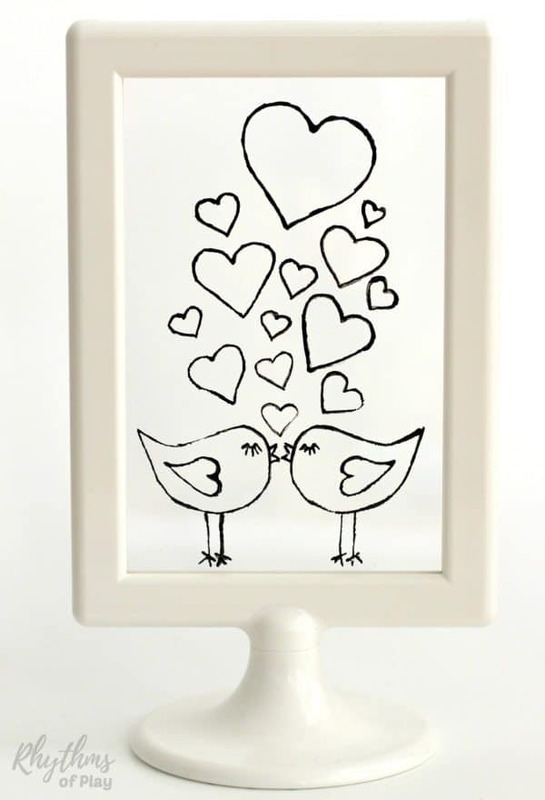 You can use these frames and glass paint to create these lovebirds, a heart tree or anything else you desire. There is no limit but the limits of your own imagination. We have a lot more faux stained glass projects like this collection of hand-painted candle holders. You can even personalize them for an extra special touch. 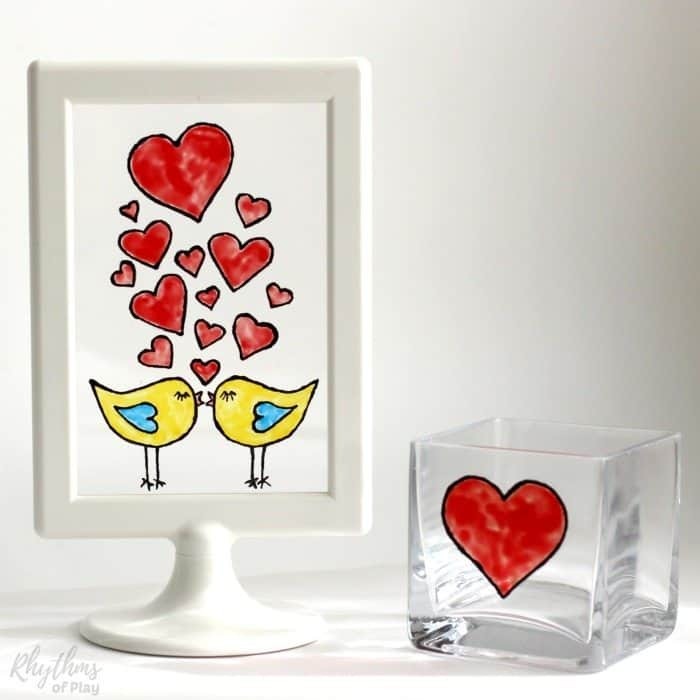 Update: This post has been updated to include directions to make this love bird craft with paint markers or glass paint. 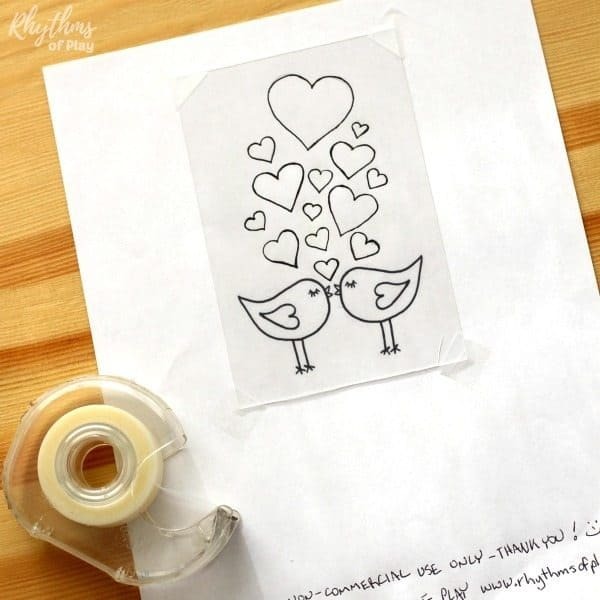 Print the free printable love bird template or choose another design to print. You can also freehand your own art if you wish. Remove protective covering from both sides of one of the two clear plastic inserts that come with the Tolsby Frame. Use a black glass paint outline tube or a black paint marker to trace your design. Allow black outline to dry for at least 24 hours. Use glass paint or paint markers to color your design however you like. Painting with glass paint is a bit different than other paints. You want to load your brush with glass paint and dab it into the black outline to hold it. The more paint the better. If you brush it on you might not be able to see it once it dries. Make sure you use as much paint as you can for the lighter colors or they will be tough to see. Both kids and adults will enjoy creating their own stained glass art windows and suncatchers using glass paint. You make also like this collection of hand-painted candle holders. This DIY hand-painted stained glass lovebirds would make a great gift idea for Valentine’s Day, weddings, and anniversaries. Another easy idea is this lovebird felt softie. Be sure you check out our keepsake gifts kids can make and our Keepsake gifts for Him or Her. You may also like THESE DIY and ready-made gift ideas for the whole family!